You'll be £19.99 closer to your next £10.00 credit when you purchase Blackbeard. What's this? 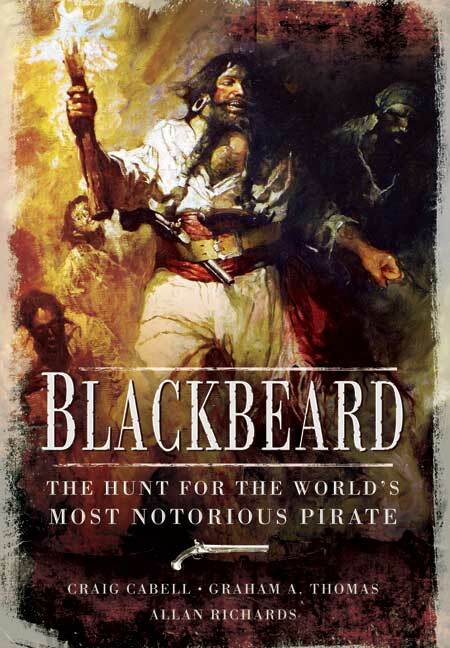 Edward Teach – 'Blackbeard'-is one of the legends of the so-called 'golden age of piracy'. There have been so many accounts of his short, bloody career that it is hard to see him and his times in a clear historical light. This new study looks for the man behind the legend, and it gives a vivid insight into the nature of piracy and the naval operations that were launched against it. This freshly researched study of the pursuit of the notorious pirate and his crew - and of the final fight in which Blackbeard lost his life - makes compelling reading. The authors examine the main source historians use when writing about this pirate. The authors also provide one of the clearest hypotheses as to why Blackbeard rechristened La Concorde to Queen Anne's Revenge. The authors provide a list of resources to consult for those who wish to learn more. This insightful, compelling and thought provoking volume on history's most notorious pirate is a worthy addition to any collection on Blackbeard. Was the legendary pirate Blackbeard really as bad as his reputation claims? In this biography for general ready and history buffs, journalist Cabell, historian Thomas, and travel writer Richards braid narrative and research findings to find the man behind the legend. They describe how Blackbeard was hunted and eventually killed by the Governor of Virginia, who has been characterised as a tyrant in the past. Edward Teach, Blackbeard, is one of the legends of the so called ‘golden age of piracy’. There have been so many accounts of his short, bloody career that it is hard to see him and his times in a clear historical light. This new study looks for the man behind the legend, and gives a vivid insight into the nature of piracy and the naval operations that were launched against it.